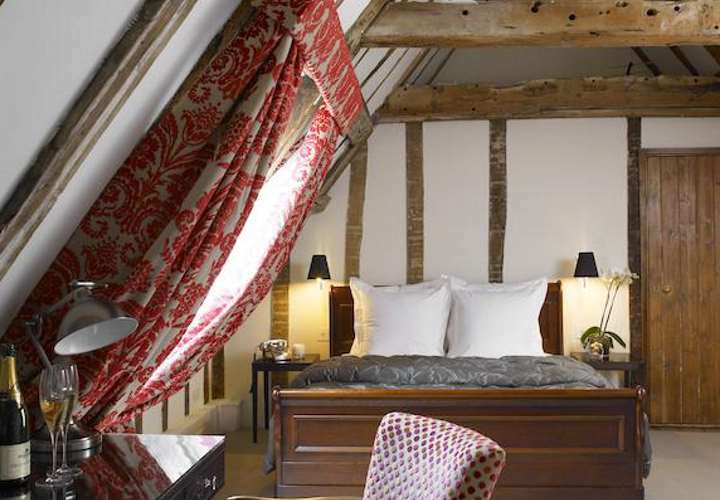 Authentic small luxury boutique hotel in the heart of medieval Lavenham, offering some of the best accommodation in the county with outstanding food. 'Britain's Top 100 Restaurants' Sunday Times 2013. AA 5 Star Restaurant with Rooms. Special Offers. A warm, cosy and welcoming atmosphere awaits at the 16th century White Horse, awarded 'Suffolk's Best Dining Pub' in 2011. Our lovely old inn still retains much of its Tudor charm. We are just 10 minutes from the A12 and 10 miles from Dunwich. Free WiFi. AA 4 Star Inn. 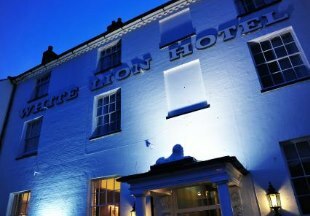 With its warm atmosphere, log fires and good food, the newly refurbished White Lion Hotel is perfect for a seaside break. The hotel is situated in the heart of Aldeburgh, opposite the shingle beach where fresh fish is sold from the traditional wooden huts lining the shore. 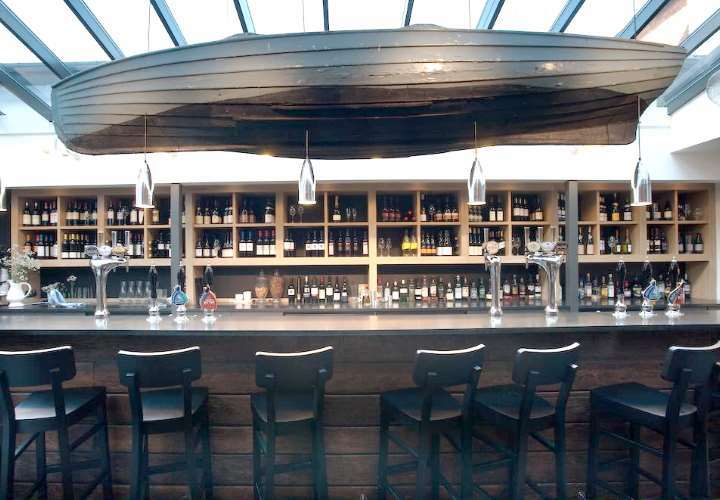 Hotel guests can enjoy fresh seafood in our new informal beach-facing bar and brasserie. Some of the elegant en-suite bedrooms have superb sea views. Free WiFi. The Six Bells is a perfect country escape, situated on the edge of the village green near the duck pond in the pretty Suffolk village of Bardwell. Originating in the late 1500s, the Six Bells Restaurant serves a wide selection of dishes using fresh, local produce. The en-suite bedrooms are set in converted stables. Free parking is available. Bury St Edmunds is just 20 minutes away. AA 4 Star Inn. Winners of “Best small hotel in Suffolk 2011/12” as voted by Suffolk tourism. 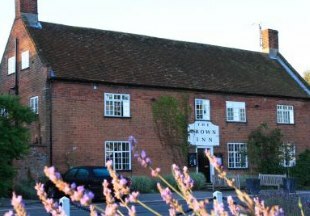 The Bull Inn, Barton Mills is located centrally between Newmarket, Bury St Edmunds, Ely, and Thetford, and just 2 miles from Mildenhall. There is a cosy public bar with amazing real ales, an award-winning restaurant with fine wines and 14 individual bedrooms, all with a quirky boutique twist. Winner of the AA Funkiest B&B of the Year 2014-2015. 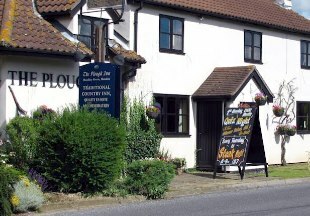 Enjoy a warm welcome, fabulous food, a stunning selection of wines and well kept local real ales at the Plough Inn. 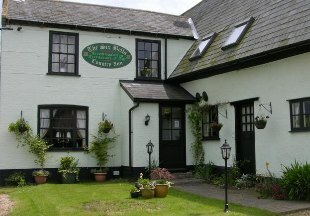 The inn also boasts a friendly bar and all the comfotable en-suite rooms overlook the stunning Suffolk countryside. We are located only 18 miles from the M11, convenient for Bury St Edmunds, Newmarket and Sudbury. 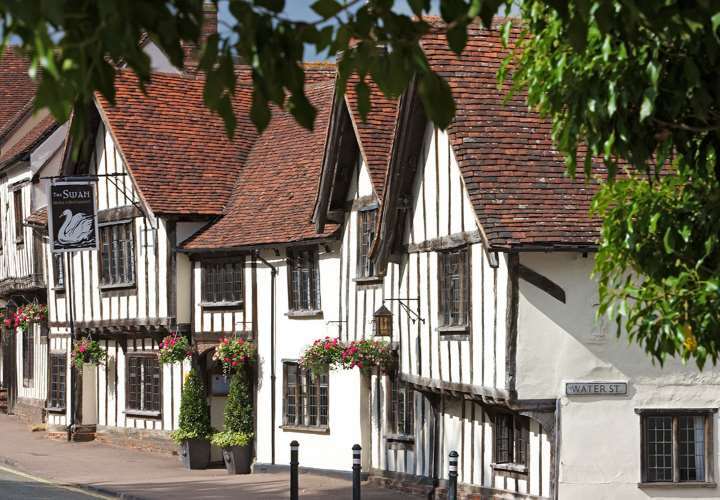 Welcome to the famous Swan Hotel in the heart of Lavenham, one of the best preserved medieval villages in England. 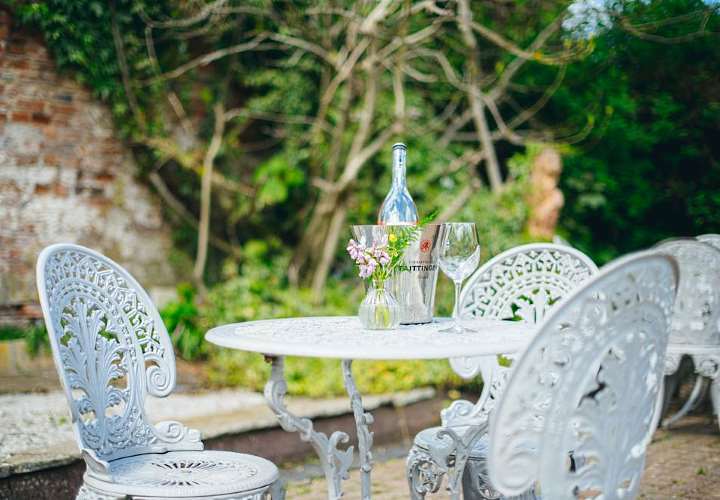 Dating back to the 15th century, this stunning luxury hotel has been lovingly restored and today offers comfortable lounges, a friendly bar, an informal brasserie and an AA 2 Rosette fine dining restaurant. 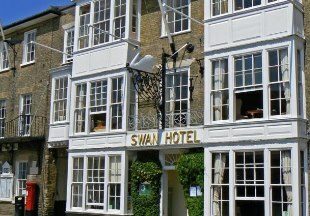 With 45 individually styled bedrooms, the Swan Hotel is one of the highest ranking hotels in East Anglia. This Georgian Hotel is the idyllic Suffolk retreat in a stunning location between two fine stately homes, with antique and craft shops just a walk away in the popular town. Relax in the exquisite individual en-suite bedrooms with enormous beds, soft robes and handmade toiletries. Sensational food is served in our restaurant, recently voted the best in Suffolk, or choose the cosy bar with blazing log fire or dine al fresco in the walled Victorian garden or patio overlooking the famous green. 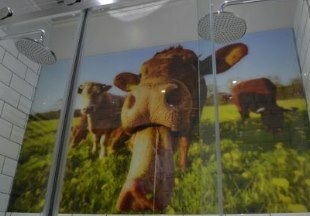 2 AA Rosette restaurant. Welcome to the Long Melford Swan, a boutique Restaurant with Rooms in Suffolk. Our 2 AA rosetted restaurant serves contemporary British food sourced locally wherever possible. 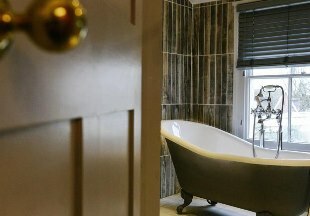 The Swan also boasts 4 delightful en-suite boutique bedrooms, three with romantic free standing baths. The 14th-century Swan, like Southwold itself, is a place to discover - tranquil yet bustling with local life. The Swan has been the heart of Southwold social life for centuries, and the life of the hotel revolves around the peaceful Drawing Room, a perfect place for a leisurely cream tea. Or you can catch up with local gossip over a pint in the Bar, before taking a brisk walk along the shore to work up an appetite for dinner at the award-winning 2 AA rosette restaurant. This 12th century coaching inn is situated in the quiet village of Westleton between Southwold and Adleburgh. The inn blends traditional charm and character with the sophistication and comforts of contemporary living. All 34 luxurious rooms are individually furnished and well appointed, some with four poster beds. Enjoy log fires, a sophisticated wine list and award winning food in the 2 AA rosette restaurant. Snape Maltings on the Norfolk coast is 9 miles away. In the heart of the fine old market town of Woodbridge you will find the Crown. Behind its beautiful 17th century town-house façade, the Crown is a thoroughly 21st century inn. Reopened in July 2009 after a dramatic facelift, this stylish inn boasts contemporary, boutique-style rooms, free Wi-Fi, a lavish bar and a 2 AA Rosette award-winning restaurant. Browse our handpicked selection of hotels and inns in Suffolk. This is Constable Country, home to TV 's 'Lovejoy' and the great wool towns of Lavenham and Long Melford. The Suffolk Heritage Coast is famous for its beaches and nature reserves. Here you will find Aldeburgh and Southwold, home of the Adnams brewery. Do not miss a visit to the most famous Anglo-Saxon site in England, Sutton Hoo near Woodbridge. Kentwell Hall near Long Melford is another must for history buffs. This beautiful moated Tudor mansion is famous for its regular Tudor and World War Two re-creations throughout the year. 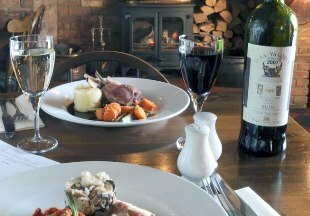 Suffolk's country pubs and inns are the best places to sample the county's local food and delicacies. Fresh fish from the coast, smoked meats from Orford, great beer from Adnams, Blythburgh free range pork and Newmarket sausages are all on the menu. So for your next short break, consider Suffolk as the perfect destination and browse our superb collection of country hotels and inns in Suffolk listed below. "A simply stunning medieval town, Lavenham owes its wonderful buildings to the rich wool merchants of the Middle Ages. It is also blessed with some great restaurants and inns, including The Great House, a restaurant with rooms with a French flair, and the luxurious Swan Hotel which must be one of the most photographed inns in England." Suffolk is bordered by Norfolk, Cambridgeshire and Essex. If you want to widen your search, why not browse through our selection of hotels and inns in Norfolk, Cambridgeshire and hotels in Essex.